A public work session with the Valdez City Council on the Master Plan is scheduled to take place Thursday, March 21st at 6:00 pm in Council Chambers. All are welcome to attend! Also: The ‘Inventory, Forecast, and Issues’ Chapters of the Valdez Airport Master Plan have been posted to the website. See the links to review and feel free to submit comments. The Alaska Department of Transportation and Public Facilities (DOT&PF) and the Federal Aviation Administration (FAA) are conducting an Airport Master Plan Update to the Valdez Pioneer Field (VDZ). A Master Plan guides how investment will be made in the airport over the next 20 years. The last Airport Master Plan was 2004. An airport Master Plan is a comprehensive study of an airport and describes the development plans to meet future aviation demand. Valdez Pioneer Field is of strategic and economic importance to the State of Alaska. The airport serves the Trans Alaska Pipeline System (TAPS) Valdez Marine Terminal, City of Valdez, and the Greater Copper Valley basin. In the event of economic activity along the pipeline corridor or Prince William Sound, the airport is a key transportation hub. Two public meetings will be held at the (a) Needs Assessment and (b) Alternative Assessment stages of the Master Plan. These meetings will be to update the public on the project, field questions, and solicit feedback. Meeting notices will be emailed to the project email list and announced on this webpage. 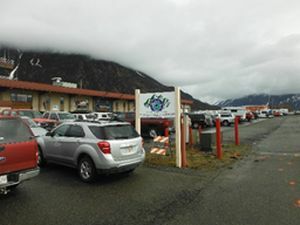 The first meeting was held on October 16, 2018 in Valdez. This meeting focused on informing the public about what a Master Plan is and soliciting feedback on needs to be solved for the airport. The second public meeting is scheduled to be held in the Winter of 2018/19. This meeting will focus on presenting alternatives to solve identified needs and soliciting feedback on the alternatives proposed under the Master Plan. To submit a comment about the Valdez Pioneer Field Airport Master Plan Update, please send an email to valdezmasterplan@stantec.com or call one of the team members listed under “Project Team”.